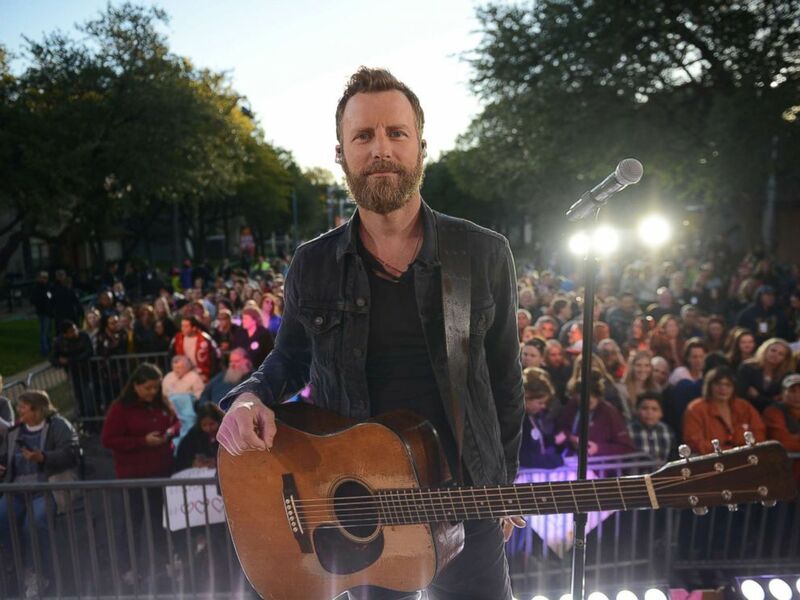 Country music superstar Dierks Bentley woke up the neighborhood on Riverside Drive in Austin, Texas, this morning when he performed live at a block party on "Good Morning America." "We live on the best street in the world and couldn’t be happier," Ashley Cooper, the Riverside Drive resident who submitted her block to the "GMA" contest said "GMA" today. 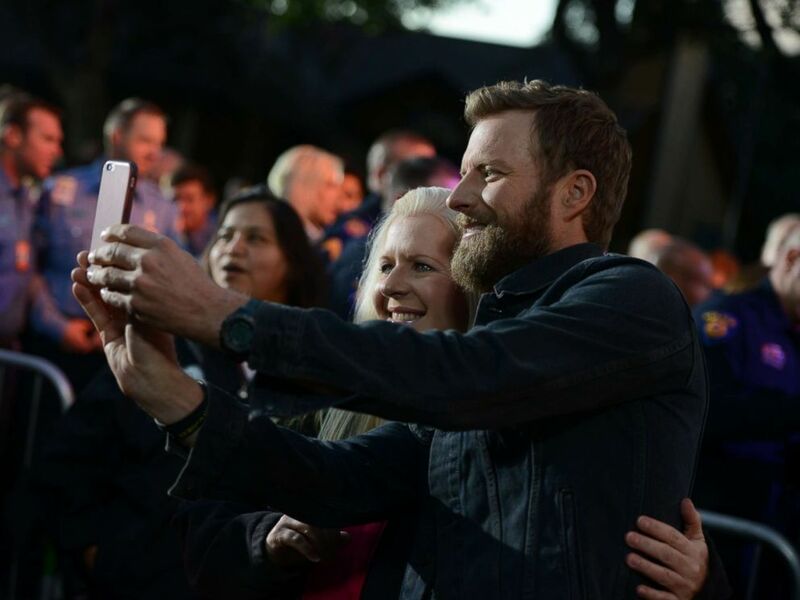 Country music superstar Dierks Bentley woke up the neighborhood on Riverside Drive in Austin, Texas, on Oct. 17, 2017 when he performed live at a block party on "Good Morning America." Bentley serenaded the lucky neighborhood with his hits "Somewhere on a Beach" and "Black." 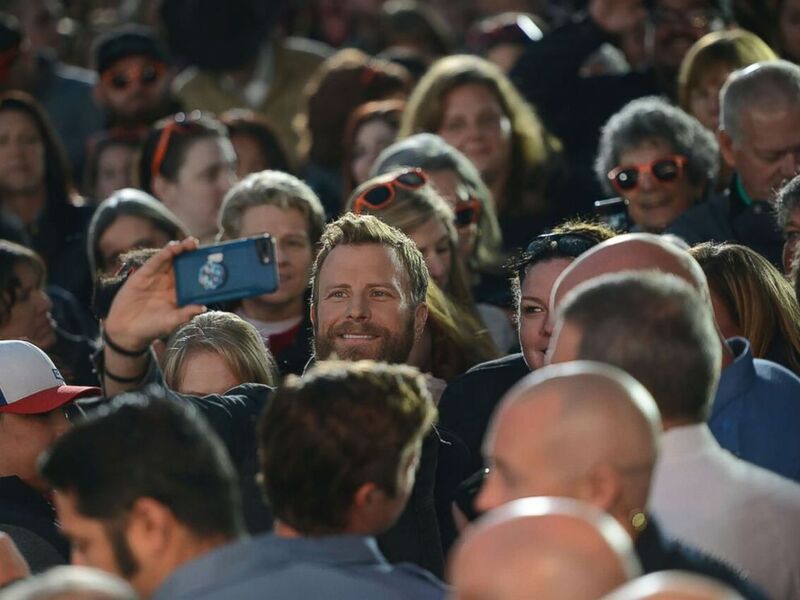 Dierks Bentley poses for a picture in the crowd from the Austin, Texas, community that won the "GMA" ultimate concert block party event, Oct. 17, 2017. Country music star Dierks Bentley poses with a neighbor during the block party in Austin, Texas, Oct. 17, 2017. 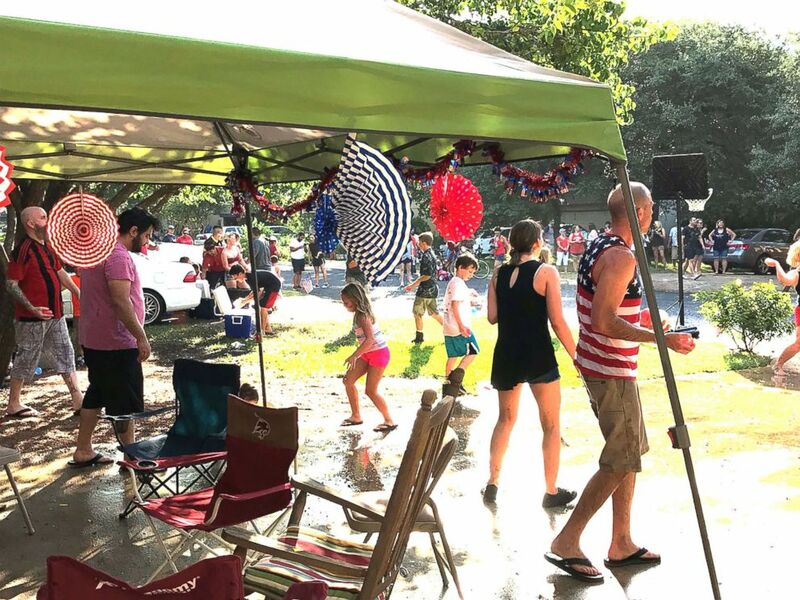 The small community has hosted an annual block party every year for the past 12 years where the whole neighborhood comes together to compete in fun events like an epic water-balloon fight, a tug-of-war showdown or a watermelon seed-spitting contest. PHOTO:Residents of Riverton Drive in Austin, Texas, participate in a balloon fight during one of their annual block parties. Residents of Riverton Drive in Austin, Texas, participate in a balloon fight during one of their annual block parties. Cooper said that "everybody really watches out for each other." "These neighbors feel like extended family. Everyone knows everyone's phone numbers, kids, pets," she added. 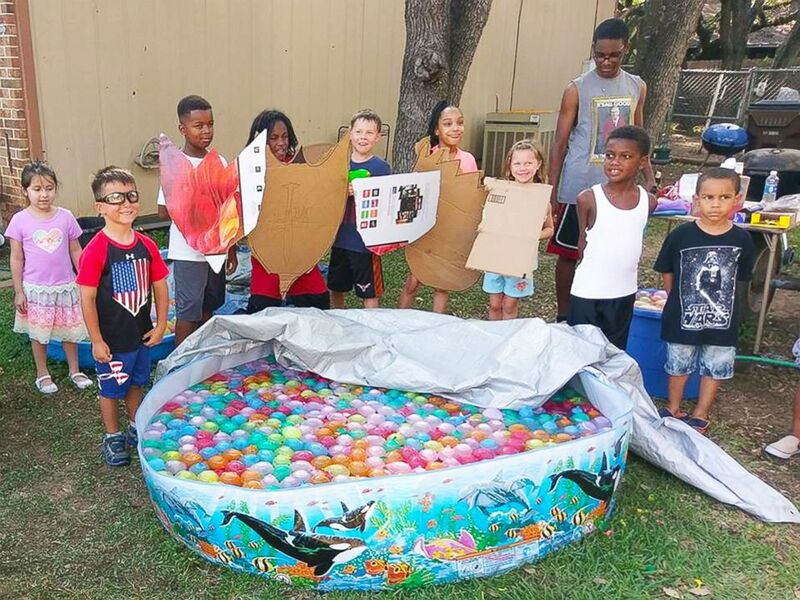 Even after winning the contest, the neighbors collectively decided that they wanted to do something special to honor people affected by Hurricane Harvey in southeastern Texas. 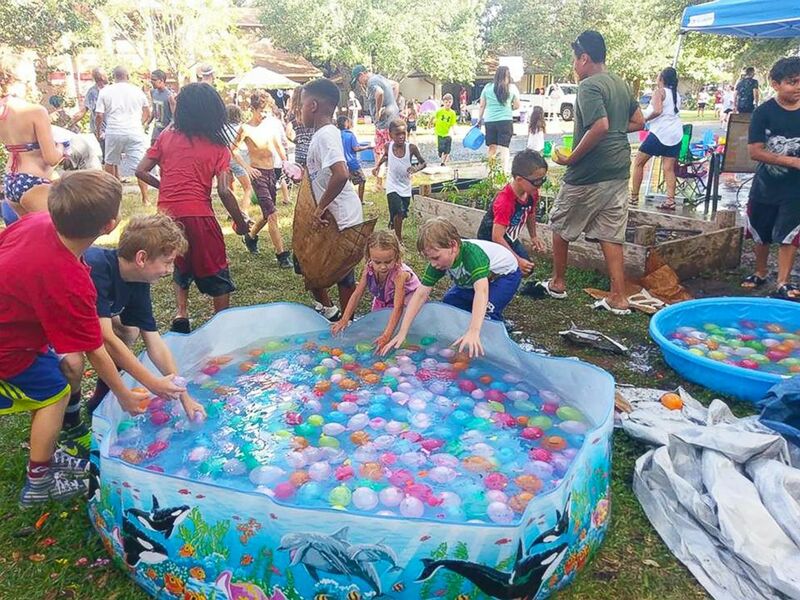 During the block party, they are hosting their own Dollar Drive donation event, and all proceeds are going directly to those affected by the hurricane. They invited some first responders from Austin and Round Rock, Texas, who stepped up to the plate when Harvey pummeled through parts of the state earlier this year. Bentley, a Country Music Association "Male Vocalist of the Year" nominee, said he has been around so many first responders this week while promoting the movie, "Only the Brave," which features his first-ever song for a movie soundtrack. 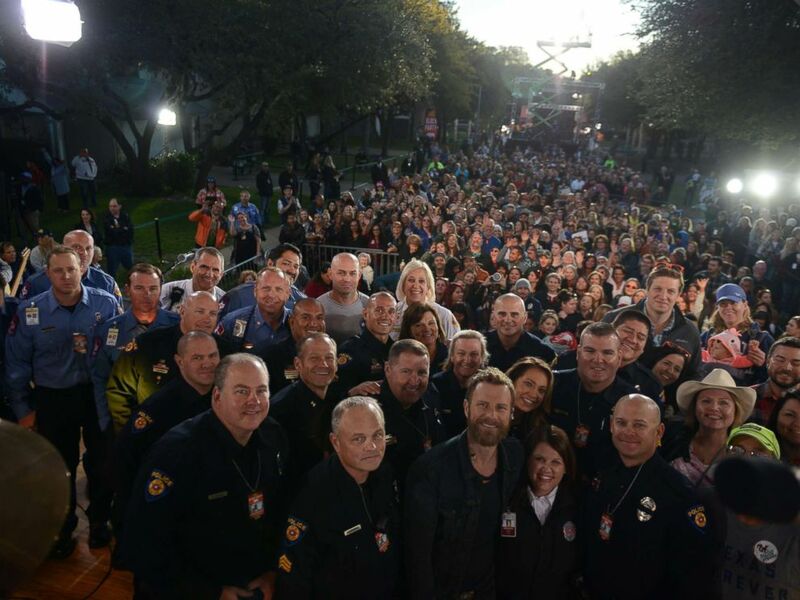 Hurricane Harvey first responders from Austin and Round Rock, Texas, are pictured with Dierks Bentley, Oct. 17, 2017. "These are the people who rush towards danger when the rest of us are running away from it," the platinum-selling country star, 41, said on "GMA" today. "Just being around these guys and these women, I have more respect for them now more than ever. In country music we’re all about our military, and rightly so. But we really need to make sure we’re taking care of and really recognizing our hometown heroes that we have amongst us." The community is also calling on people who wish to support the ongoing relief efforts in southeastern Texas to make a gift to the American Red Cross Disaster Relief Fund or Feeding America. King’s Hawaiian, a sponsor of “Good Morning America,” has made a $20,000 donation to the American Red Cross Disaster Relief. 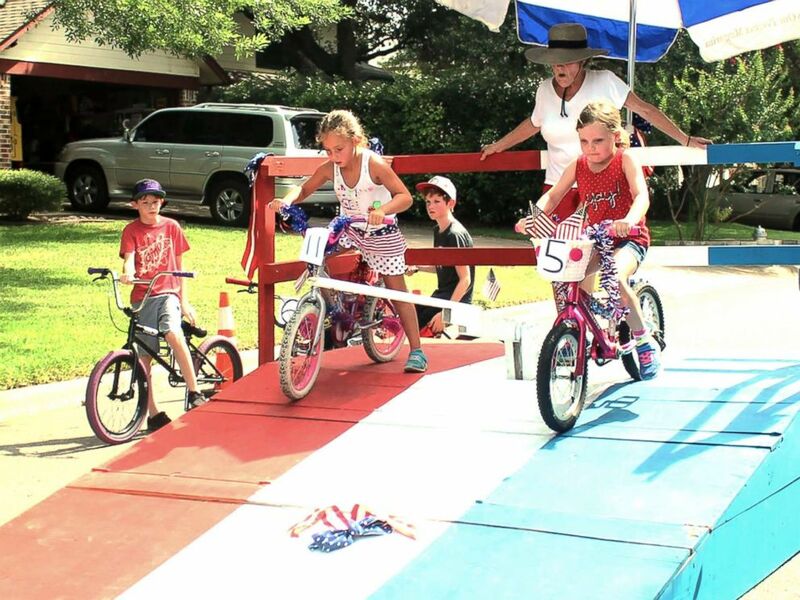 Residents of Riverton Drive in Austin, Texas, participate in a bike race during one of their annual block parties. 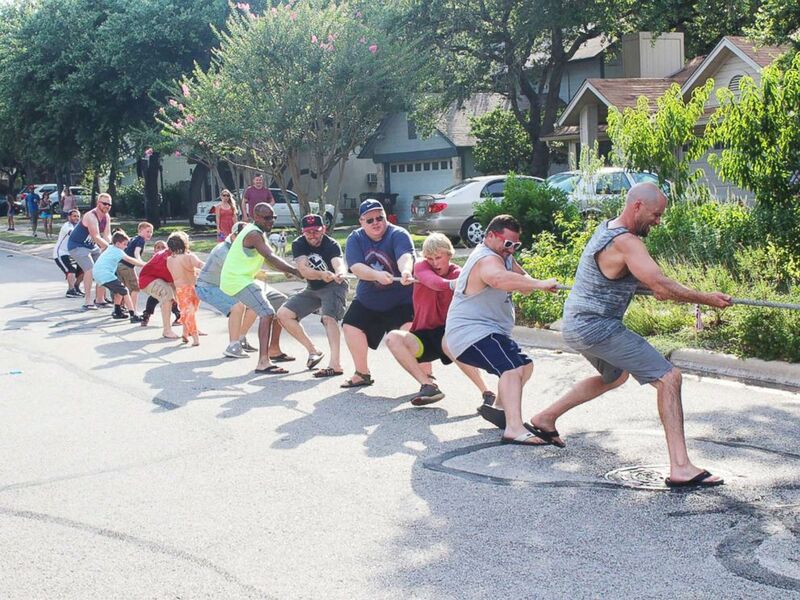 Residents of Riverton Drive in Austin, Texas, participate in a tug of war during one of their annual block parties.